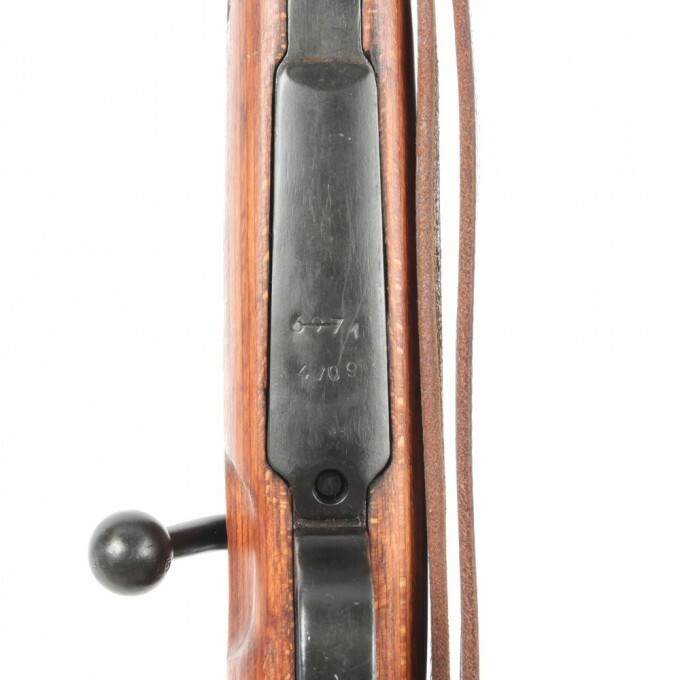 Jugoslav K98 Mauser, Preduzece 44, cal. 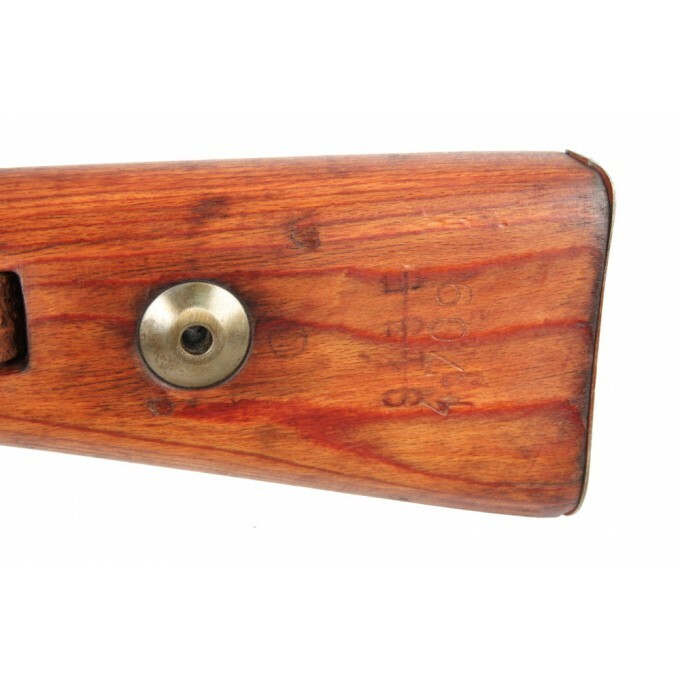 8x57js. 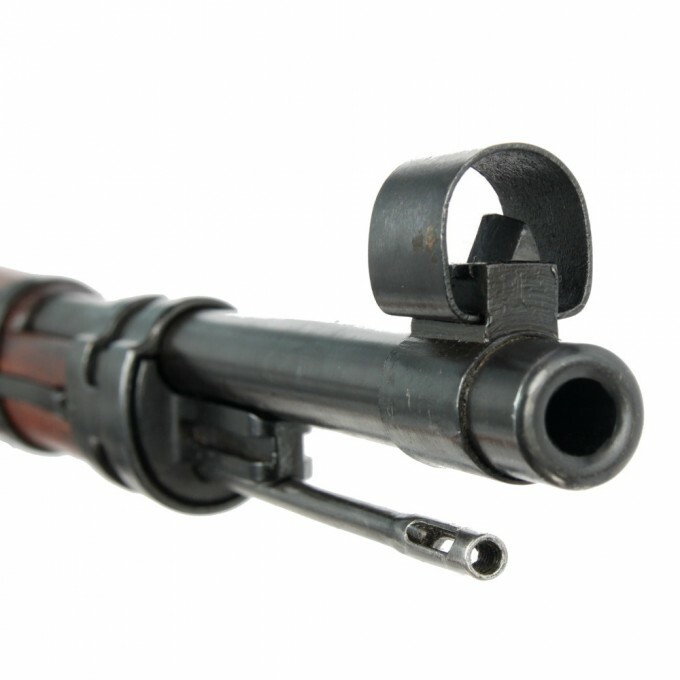 After the end of World War II the Jugoslav government decided to refurbish the rifles captured or left over by the Germans during World War II to re-arm its military forces, scrubbing the original German markings we and replacing them by the Jugoslav ones. 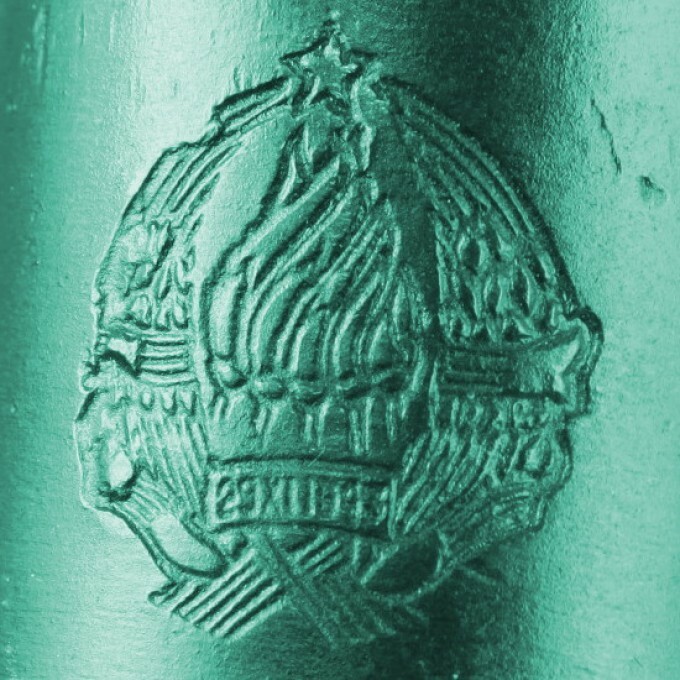 The main new markings are the Jugoslav Crest on the cartdrige chamber and the "Preduzece 44" name on the left side ("Preduzece 44" was the Number 44 factory in Kragujevac, Serbia, the current location of Zastava Arms). 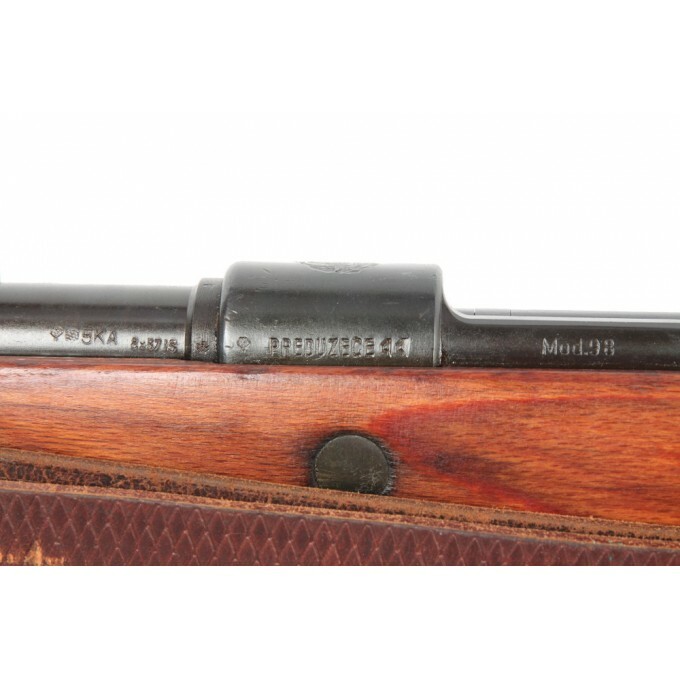 As on all the rifles re-arsenalized before 1950, the mark "Mod. 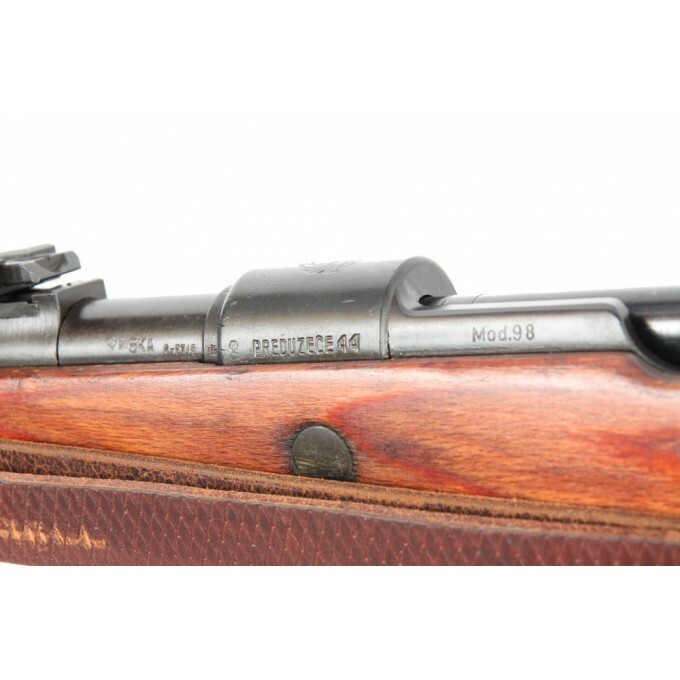 98" on the left side was kept intact (after this year, "/48" mark was added to "Mod. 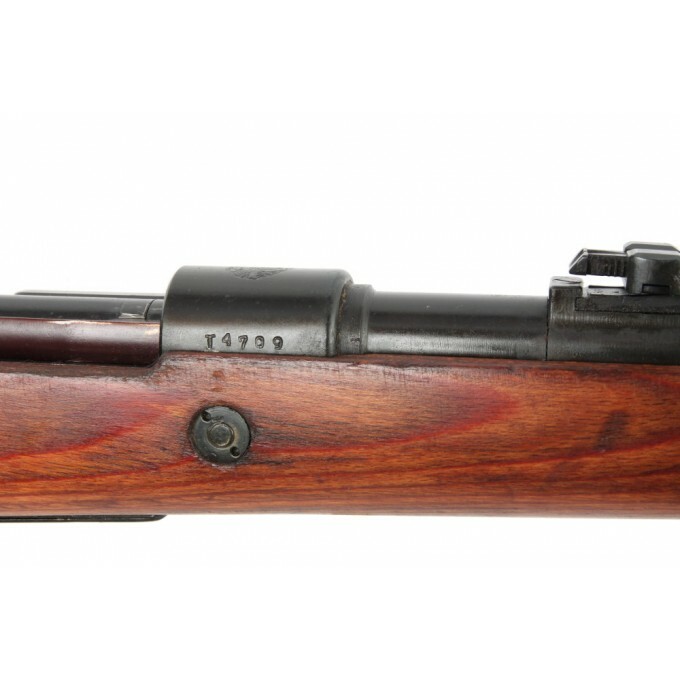 98"). 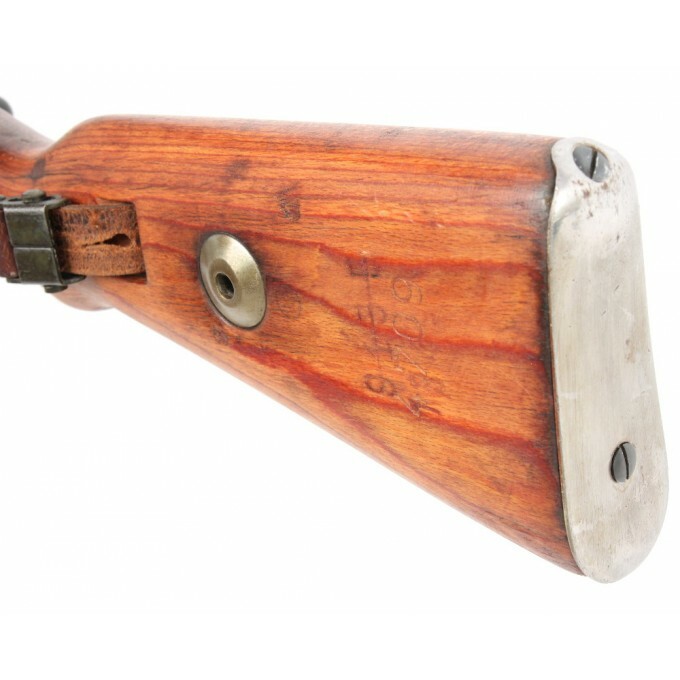 New serial numbers were stamped on the main parts of the gun. 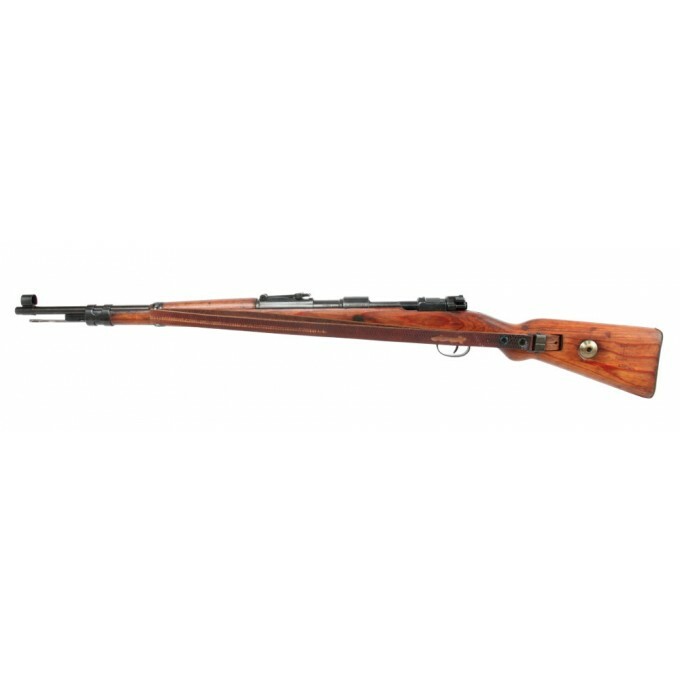 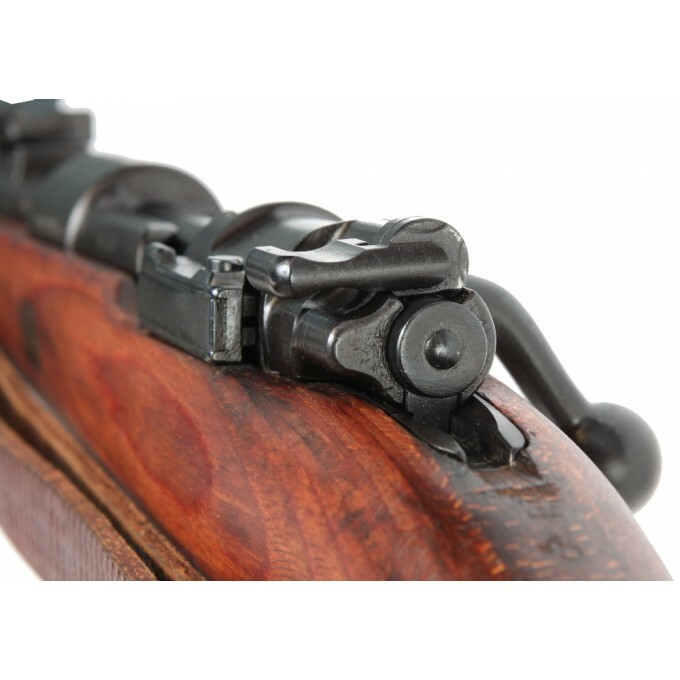 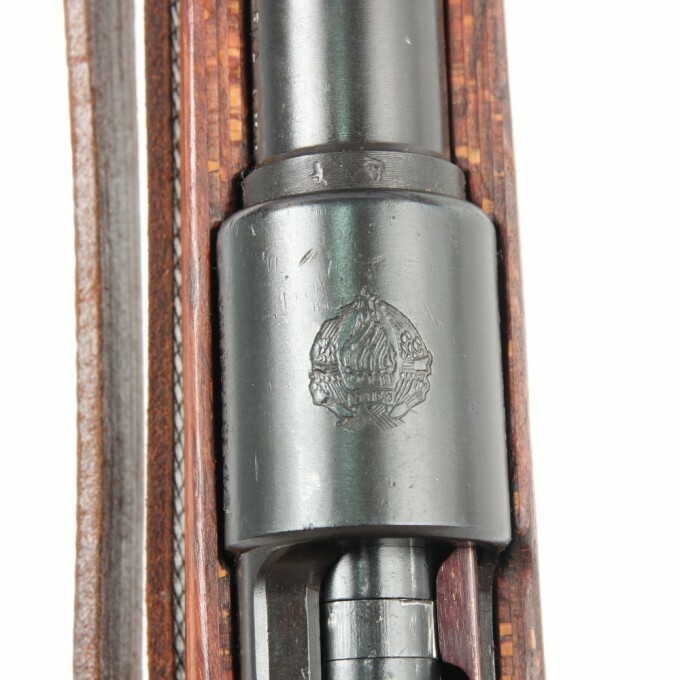 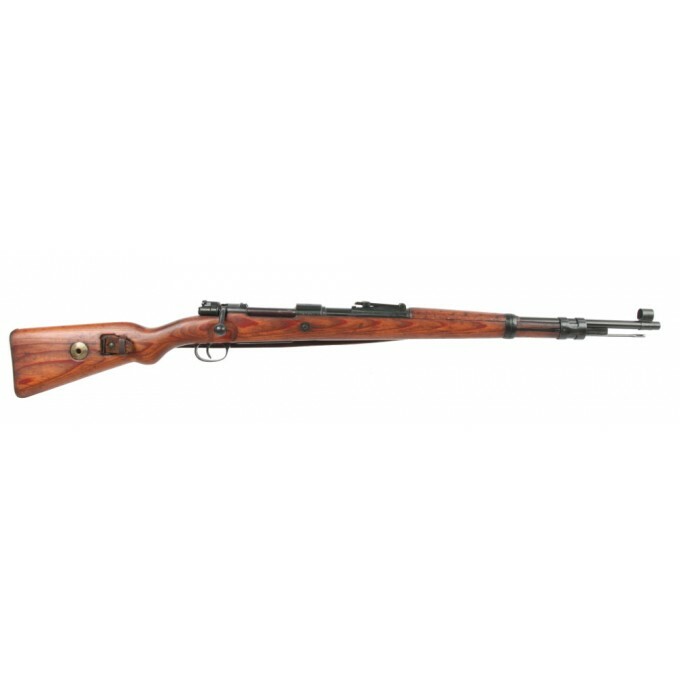 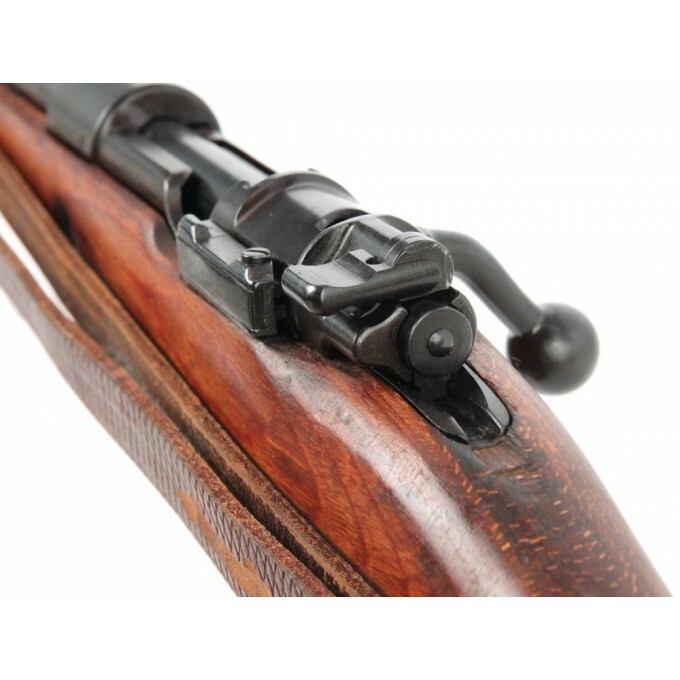 Our rifle is in very good general condition, with an excellent barrel that has clean and well marked rifling, so that the 7.90 mm gauge does not pass inside it. 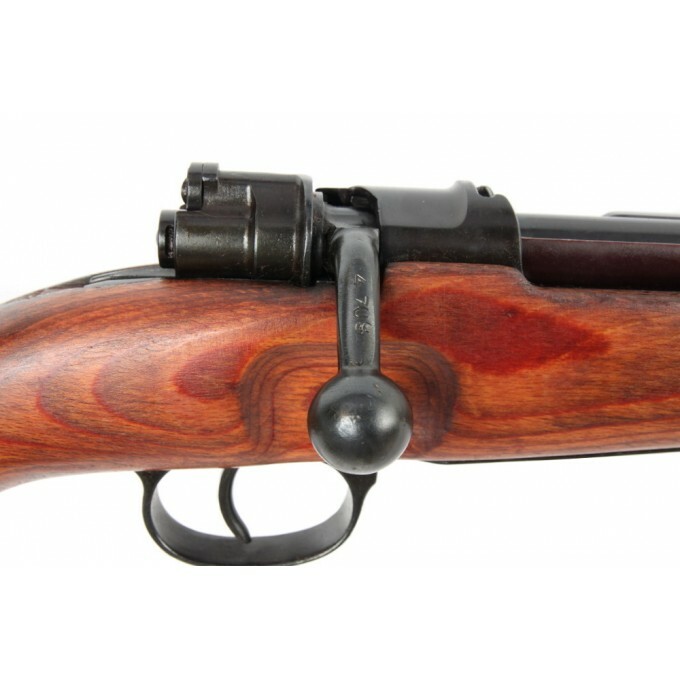 The rifle is supplied with its leather sling. 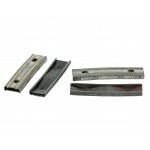 Rifle is excelent condition, with a clean bore and sharp rifling. 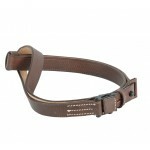 Supplied with a leather sling.